When Arthur Crusey joined the LAPD on Feb. 8, 1911, the 24-year-old officer was first assigned to the Metropolitan Division's plainclothes squad. It was thought that his boyish looks might help him infiltrate and investigate locations, such as illegal gambling operations, where an older officer might raise suspicion. In fact, around the department, Crusey was known as "The Baby-Face Policeman." Crusey was recently married, with a 1-year-old son, Arthur Jr. Shortly after Crusey joined the police department, his wife, Elsie, discovered that she was pregnant with their second child. She thought plainclothes and undercover work was too dangerous for her husband, and she urged Crusey to transfer to a uniformed squad. Crusey requested the transfer and, in early May 1911, he was assigned to a beat on North Main Street, near the current location of the Los Angeles City Hall. 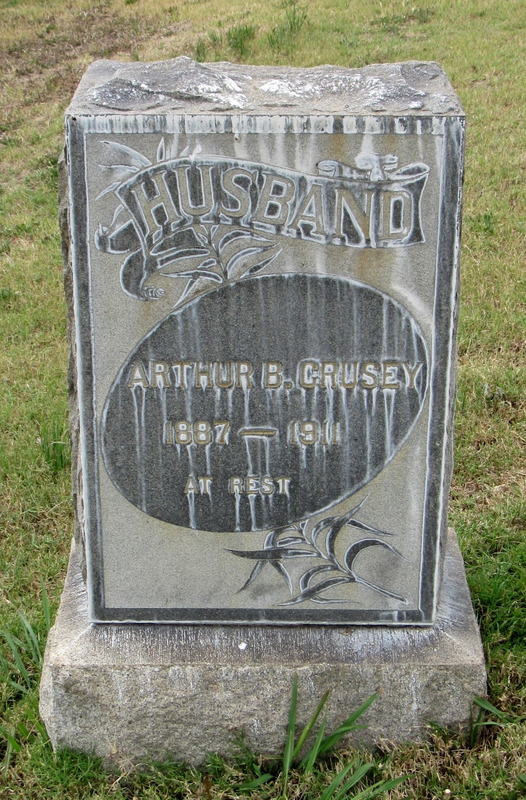 Crusey was born in 1887 in Indiana, the oldest child of John and Mary Frances Crusey. In about 1890, the family moved to Chicago, where Crusey's sister, Shirley, was born in 1894. In 1902, the family moved to San Francisco, where John Crusey worked as a bricklayer, and was eventually joined in that occupation by his son. In about 1906, the year of the great San Francisco earthquake, the family moved to Los Angeles, where John and Arthur continued to work together as bricklayers for several years. 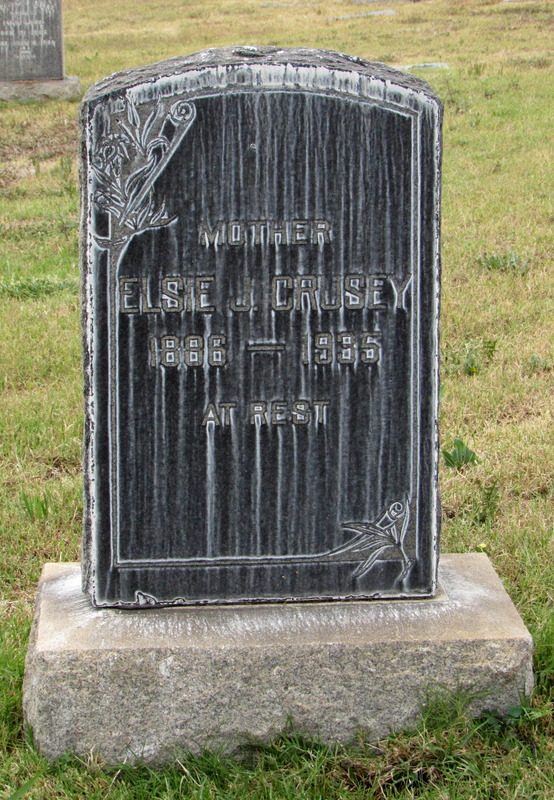 Crusey married Elsie Carter in Los Angeles, and their son was born in September 1909. The entire extended family lived together in a house on Fargo Street, about two blocks from the current location of the Silver Lake Reservoir. On Thursday, May 25, 1911, Crusey was walking his beat on North Main Street shortly before 10 p.m. when he noticed a tall, slim man stealing a bicycle from a pawnshop. Crusey yelled at the man to stop and started walking toward him. When the man started to run, Crusey chased him. The man turned, pointed a .38-caliber revolver at Crusey and fired. The first shot missed, Crusey continued the chase, and the man continued to shoot. One of the bullets hit Crusey in the right side, passed through his lung and stomach, and came out his back. The bullet was a "dum-dum" bullet, cut at the tip in a way that causes the bullet to widen on impact, to create a larger wound and cause more internal damage. The gunfire attracted several LAPD officers, and Sheriff's Deputy Arthur Soloman, who chased and caught up to the man. When the man glanced back and saw Soloman closing in, he pointed his gun over his left shoulder and fired. The bullet hit Soloman in the left cheek, knocked out several teeth and shattered his jaw. More officers joined the chase, which covered several blocks, until the man was cornered by three officers in a vacant lot and surrendered. Crusey and Soloman were both taken to the Central Receiving Hospital on First Street. Crusey was later transferred to Good Samaritan Hospital, where he died three days later -- less than four months after he joined the LAPD. Although Soloman initially recovered, he died in August 1917, at the age of 36, from brain injuries related to the shooting. He left a widow and three young children. Crusey's killer, who had been paroled from San Quentin State Prison in January 1911 after serving six years of a 15-year sentence for burglary, and who was also suspected in a string of recent robberies and burglaries in the area, was charged with first-degree murder, tried and convicted. He was sentenced to life in prison. Crusey was buried at Rosedale Cemetery -- now Angelus Rosedale Cemetery -- with full police honors, including an honor guard of 25 LAPD officers. The honor guard included Officers John Toolen and Thomas Kronschnabel -- both of whom would also be killed in the line of duty within the next several years. Crusey's widow gave birth to their second child, Vivian Bernice Crusey, on Nov. 24, 1911, six months after her husband was killed. She continued to live with her in-laws on Fargo Street, while raising her children and working as a seamstress. 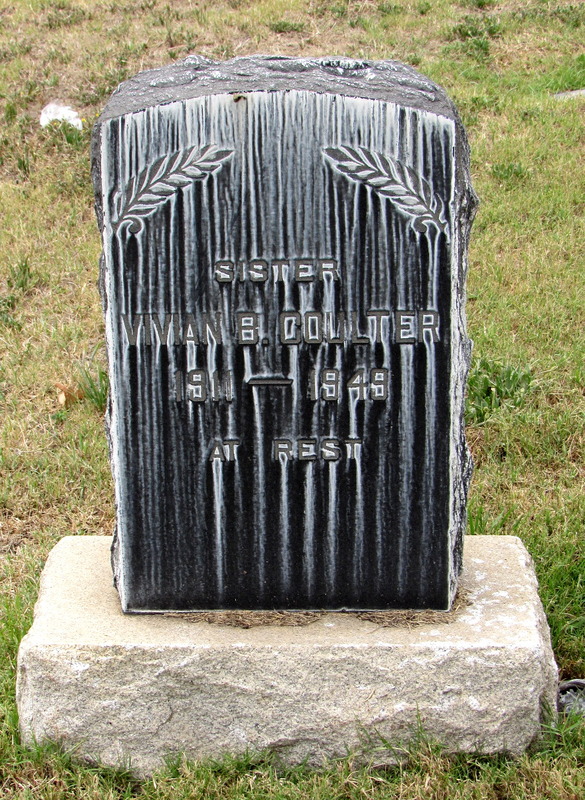 Elsie Crusey died in June 1935, at the age of 49, and is buried with her husband at Angelus Rosedale. Their daughter, Vivian, married Stewart J. Coulter. 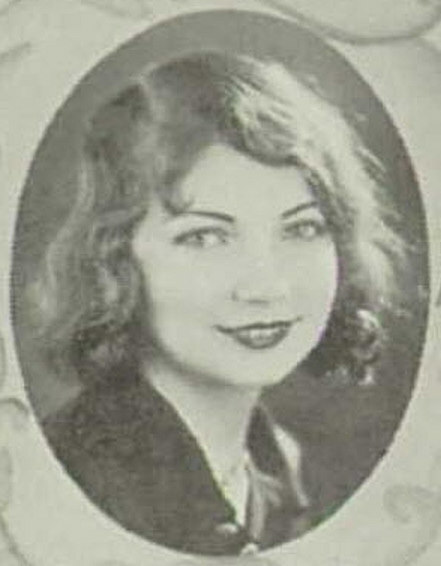 She died on July 16, 1949, at the age of 37, and is buried with her parents. Their son, Arthur Jr., died on July 10, 1987, in Laguna Hills, California, at the age of 77. Crusey's sign -- with his name spelled incorrectly -- is located on the west side of North Main Street, between Aliso and Arcadia streets, directly over the 101 Freeway.